The term’s meaning is elusive and runs from a systematic reconstruction of an economy to remove any unsustainable components or practices, such as reliance on fossil fuels or inefficient building construction, to some Greenwashed description of a product or service for sale that has some, often vague, environmental benefit. Even the United Nations offers three somewhat different definitions within one paragraph in describing its Green Economy Initiative. At its heart or most fundamental level it means sustainable development, which is generally agreed to mean, “… development that meets the needs of the present without compromising the ability of future generations to meet their own needs.” It requires that natural resources are not destroyed so as to preserve them for use by future generations. 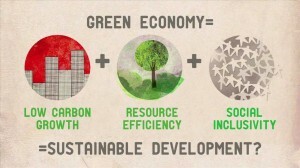 Some also use the terms “green growth” and “low carbon development.” This vision of a Green Economy is a counterpoint to the traditional free-market economy that is driven by increases in the Gross Domestic Product (GDP), and where economic growth is supported regardless of its adverse social or environmental consequences. 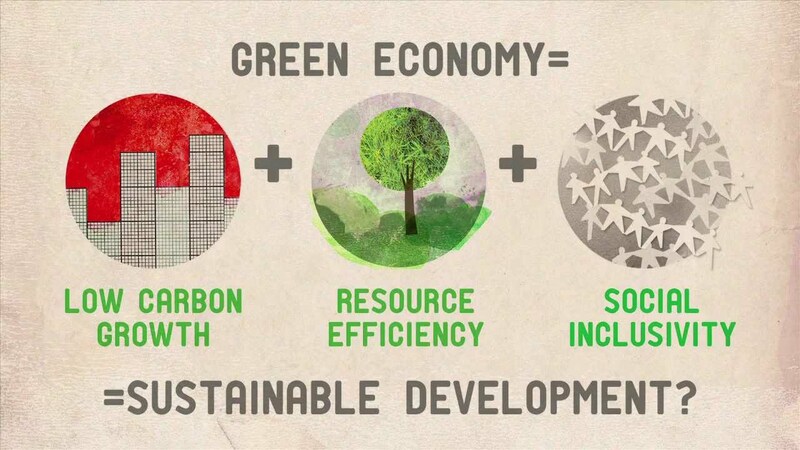 In a green economy we would see, for example, more renewable energy (wind farms, solar panels), electric cars, energy efficient appliances and heating systems, smart meters monitoring water and heat, water harvesting, and a tax on use of carbon. 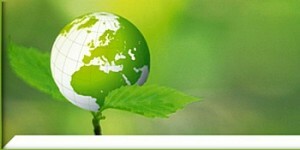 Determine some further examples of the transformation needed to create a Green Economy. Pick one of the examples you choose and determine how it can be implemented in your local community. Using the same example, determine how it can be expanded in your regional economy.